SuperImager Plus 7" Mini Field Forensic unit - with 3 SATA ports and 4 USB3.0 ports. The perfect tool to run Triage data collection application, Fast Forensic Imaging, virtual drive emulator, and Cellphone data extraction & analysis application. The unit can be powered with external Li-Polymer battery. SuperImager® Plus Forensic 7" Mini - Field Forensic Imaging and Platform. The unit can be used as a Field Forensic Imaging device, Cellphone data extractions and analysis, and Triage data collections. The SuperImager Plus 7" Mini Forensic field unit is very compact, lightweight, and easy to carry, and it is the perfect tool to perform Forensic Imaging out in the field. It built with 7" Touchscreen color high-resolution LCD display, 3 SATA ports (with secure and keyed SATA power connector), 4 USB3.0 ports, 1 Gigabit/s Ethernet port, and a VGA port. It is affordable and capable of performing extremely fast Forensic Imaging (Run a 100% bit by bit imaging at 21GB/min on SSD) and fast Hash Authentication (Run SHA-1 at 26GB/min on SSD and 8GB/min on 1TB WD Blue Drive). The user can erase drives and USB3.0 storage devices, by using the unit’s 2 SATA ports and 3 USB3.0 ports. The application supports DoD erase (Full, Lite), Security Erase, Enhanced Security Erase, Sanitize erase protocols. DoD(Full and Lite) which are NIST 800-88 compliant. the rest of the erase protocols need to be run with verify pass in order for them to be NIST 800-88 compliance. The application also supports the User erase mode with verification pass, and erase verification mode for drives that were previously erased by a third-party applications or tools. The Application generates easy-to-extract Erase log files and NIST erase certificates. 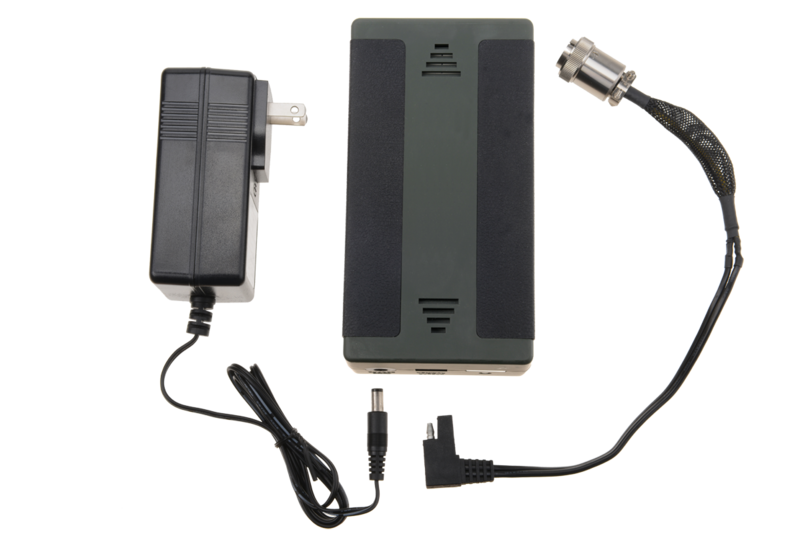 With the use of USB3.0 to Wi-Fi adapter and with the user Cellphone Hot-Spot feature, The SuperImager Plus 7” Mini unit can connect to the internet, satellite or any other network to upload crucial data. • 5°C - 55°C (40°F-130°F), relative humidity: 20-60% non-condensing. OS: Ubuntu 64 Bit and Win 7 Professional 64 Bit in a dual boot. The open Ubuntu OS allows for easy application modification to include new features, easy adaptation to new hardware and ease of adding third-party Ubuntu applications. Writes Block: MediaClone is using a Linux environment that never automatically mounts any of the Suspect/source drive partitions and all the source drives are automatically set as read-only to prevent accidental writes. Forensic Images - Destination: The user can save Forensic Images to any attached storage to the SuperImager unit, or to any connected network using the unit 1Gigabit/s port, or to any external USB3.0 RAID (encryption is optional) or external NAS storage in a very good speed. With the use of USB3.0 to SATA fast adapters and with the combination of e-SATA port, the unit can support up to 4 to 4 Forensic Imaging of SATA drives. Saves Forensic Images to a Network:The user can upload simultaneously multiple Forensic images to a local network (in DD, E01 mode) by using the unit' 1Gigabit/s port,or any of the unit’s USB port to upload up to 5 parallel 1Gigabit/s network streams. Tasks Scripting Feature: The user can create a script to run sequential operations and parallel operations (more than 1 operation at the same time). There are no limitations on the number of scripts and operations. Be aware that for operation requires the use input, in that case, the operation will still stop and wait for the user input (Like when the user is running a drive spanning and a user respond is needed.